Today is Saint Philip’s Day, one of the Twelve Apostles. His feast day marks the end of the regular post-Pentecostal period, and is followed by the Nativity Fast (also known as the Saint Philip’s Fast), which lasts for forty days until the morning of Shobas (Christmas) on January 7. The purpose of fasting has been discussed here before. As previously mentioned, the Nativity Fast is less rigourous than the Fast of Great Lent. Meat, poultry, dairy prodcts and eggs are excluded from the diet for the entire fast. Wine and oil are permitted on Tuesdays and Thursdays, and fish, wine and oil are permitted on Saturdays and Sundays. The simplification of diet and winding back of social engagements creates a sense of anticipation of the great celebration to come, and helps to reduce stress. For those in Tbilisi struggling to find tasty vegetarian ingredients for the next 40 days, I can strongly recommend the Turkish supermarket “Tursa” in Didube Plaza, Tsereteli Street in Didube District. They have an excellent choice of grains, beans and other pulses, and middle eastern spices. “The Holy Apostle Philip, was a native of the city of Bethsaida (or Bethesda, in Galilee). He had a profound depth of knowledge of the Holy Scripture, and rightly discerning the meaning of the Old Testament prophecies, he awaited the coming of the Messiah. Through the summoning of the Saviour (Jn. 1: 43), Philip followed Him. 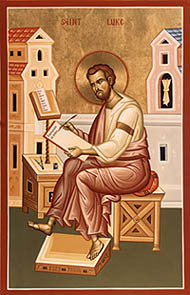 The Apostle Philip is spoken about several times in the Holy Gospel: he brought to Christ the Apostle Nathanael (i.e. Bartholomew, Comm. 22 April, 11 and 30 June, 25 August; Vide Jn. 1: 46); the Lord asks him how much money would be needful to buy bread for five thousand men (Jn. 6: 5-7); he brought certain of the Hellenised Jews wanting to see Jesus (Jn. 12: 21-22); and finally, at the time of the Last Supper he asked Christ about God the Father (Jn. 14: 8). After the Ascension of the Lord, the Apostle Philip preached the Word of God in Galilee, accompanying his preaching with miracles. Thus, he restored to life a dead infant, in the arms of its mother. From Galilee he set off to Greece, and preached amongst the Jews that had settled there. Certain of them reported in Jerusalem about the preaching of the apostle, in response to which there arrived in Hellas (Greece) from Jerusalem, scribes with the Jewish high-priest at their head, for a persecution against the Apostle Philip. The Apostle Philip exposed the lie of the high-priest, who said that the disciples of Christ had stolen away and hidden the body of Christ, telling instead how the Pharisees had bribed the soldiers on watch, to deliberately spread this rumour. When the Jewish high-priest and his companions began to insult the Lord and lunged at the Apostle Philip, they suddenly were struck blind. By prayer the apostle restored everyone to sight, and in beholding this miracle, many believed in Christ. The Apostle Philip established a bishop for them, by the name of Narcissos (listed within the rank of the Seventy Disciples, – Comm. 4 January). From Hellas the Apostle Philip set out to Parthia, and then to the city of Azota, where he healed an eye affliction of the daughter of a local resident named Nikoclides, who had received him into his home, and then baptised with all his whole family. From Azota the Apostle Philip set out to Syrian Hieropolis where, stirred up by the Pharisees, the Jews burned the house of Heros, who had taken in the Apostle Philip, and they wanted to kill the apostle. But in witnessing miracles wrought by the apostle –the healing of the hand of the city official Aristarchos, withered in attempting to strike the apostle, and also a dead lad restored to life – they repented and many accepted holy Baptism. Having made Heros bishop at Hieropolis, the Apostle Philip went on to Syria, Asia Minor, Lydia, Emessa, and everywhere preaching the Gospel and undergoing sufferings. Both he and his sister Mariamna accompanying him were pelted with stones, locked up in prison, and thrown out of villages. Then the Apostle Philip arrived in Phrygia, in the city of Phrygian Hieropolis, where there were many pagan temples, among which was a pagan temple devoted to snake-worship, having within it an enormous serpent. The Apostle Philip by the power of prayer killed the serpent and healed many bitten by the snakes. Among those healed was the wife of the city governor Amphypatos. Having learned that his wife had accepted Christianity, the governor Amphypatos gave orders to arrest Saint Philip, his sister, and the Apostle Bartholomew travelling with them. At the urging of the pagan priests of the temple of the serpent, Amphypatos gave orders to crucify the holy Apostles Philip and Bartholomew. At this time there began an earthquake, and it knocked down to the ground all those present at the judgement-place. Hanging upon the cross at the pagan temple of the serpent, the Apostle Philip prayed for the salvation of those that had crucified him, to save them from the ravages of the earthquake. Seeing this happen, the people believed in Christ and began to demand that the apostles be taken down from the crosses. The Apostle Bartholomew, in being taken down from the cross was still alive, and he baptised all those believing and established a bishop for them. But the Apostle Philip, through whose prayers everyone remained alive, except for Amphypatos and the pagan priests, – died on the cross. Falling on a Sunday this year, Saint George’s Day is celebrated on November 23 each year, commemorating the torture of Great Martyr George during the reign of Emperor Diocletian in 303. As one of Georgia’s patron saints (and according to local belief, a cousin of Saint Nino), his feast is celebrated with vigour, coming as it does a week before the Nativity Fast begins. The holy martyr is appropriately considered the intercessor for all Christians and the patron saint of many. He is regarded with special reverence among the Georgian people, since he is believed to be the special protector of their nation. Historical accounts often describe how St. George appeared among the Georgian soldiers in the midst of battles. 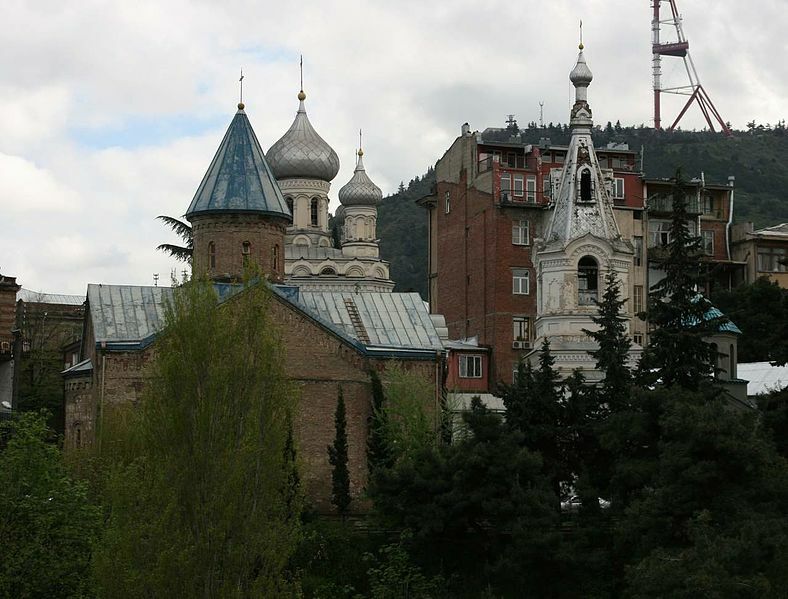 The majority of Georgian churches (in villages especially) were built in his honour and, as a result, every day there is a feast of the great-martyr George somewhere in Georgia. The various daily commemorations are connected to one of the churches erected in his name or an icon or a particular miracle he performed. November 10 (in the Julian Calendar) marks the day on which Saint George was tortured on the wheel. According to tradition, this day of commemoration was established by the holy Equal-to-the-Apostles Nino, the Enlightener of Georgia. Saint Nino was a relative of Saint George the Trophy-bearer. She revered him deeply and directed the people she had converted to Christianity to cherish him as their special protector. Ertsulovneba, the Georgian television station operated by the Church of Georgia, yesterday released this very interesting documentary on the importance of Saint George to Georgians, examining different regional traditions associated with Giorgoba. For those in Tbilisi, a Divine Liturgy in English will be celebrated at 9 am this Saturday at the Blue Monastery (Lurji Monasteri). Directions can be found here. All are welcome. A very worthy initiative and I am sure anyone wishing to attend will find themselves very welcome.